During the school week I kept finding random little notes stuck to my classroom doors in the morning. They were so kind! Just quick little post-it notes telling me that they enjoy having me for a teacher, or that they like my class. 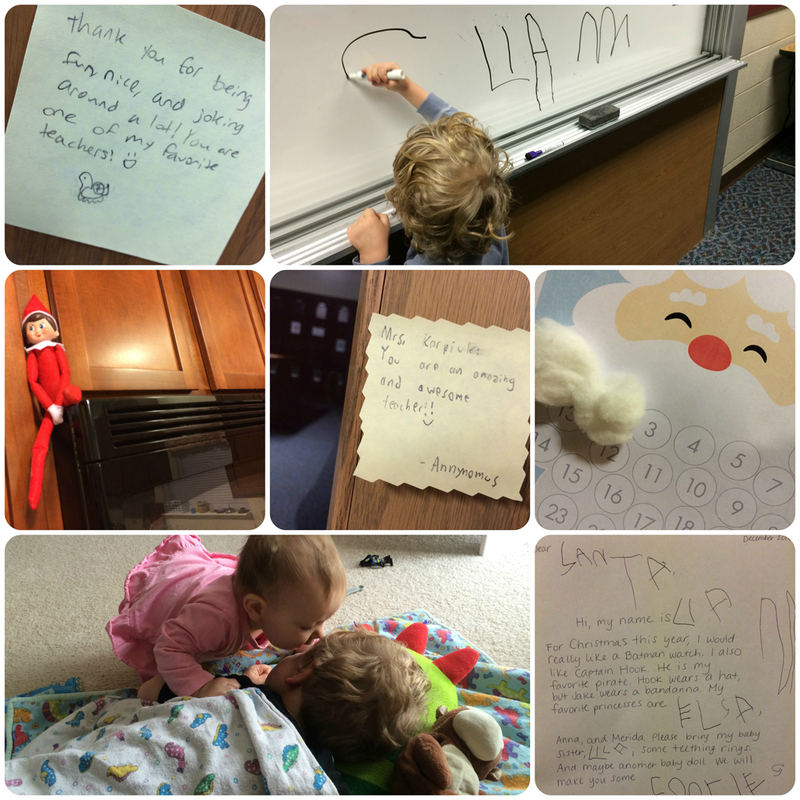 It sure makes me feel good – thanks for the random acts of kindness, anonymous students! The end of the week and the weekend was a bit rough; Lila was home sick with a stomach thing on Friday so I stayed home with her, and good thing… then I got sick and then shortly after that,Â Liam got sick. Liam helped take care of Lila when she was sick, and then Lila helped take care of Liam when he fell ill with kisses. Lucas seems to have dodged it so far, the lucky duck. It’s Sunday night now and thankfully we’re all much better already so here’s hoping next week will be better.